Great Lakes Brewery | Beer Blotter: Seattle based. World focused. Kona Brewing Co.'s 15th Annual Beer Festival is this week! We wish there was an event like this in Seattle which would indicate that Great Lakes Brewing is being distributed to Seattle. BUT its not, so lets get back to reality. However the lucky cities of Charlotte/Greenboro NC will experience all that Great Lakes Brewing Company has to offer. Visit The Pour House to meet GLBC reps and sample GLBC’s five year round beers: Burning River Pale Ale, Commodore Perry India Pale Ale, Dortmunder Gold Lager, Edmund Fitzgerald Porter, Eliot Ness Amber Lager! Allagash is known for its perfection of the Belgium styled beers, so here is your chance to try lots of limited Allagash beers on tap. This is part of the Lion’s Pride Belgian Festival week along and Allagash will be featured with other great Belgian beers. Come taste stouts that have been aged in-house at Bar Great Harry. Before the weather turns warmer, indulge in these tasty brews: Sixpoint Otis, CASK Blue Point Oatmeal Stout, Mcneil’s Oatmeal Stout, Anderson Valley Barney Flats, Young’s Oatmeal Stout, Wolaver’s Organic Oatmeal Stout, Goose Island Oatmeal Stout. A FREE sampling of Victory Brewing company. As always these fine beers will be paired with a specific cheese. Black Raven Brewing Co., known for their amazing IPAs (Single IPA-Trickster and Double IPA- Wisdomseeker) is heading North from Redmond to Bellingham to sample their beers and give away schwag. Tonight marks the eve of the official release of the Hunapu bottle release and there are some very special Cigar City beers on tap and in bottles. Hunapu, Jai Alai IPA, Bolita Double Nut Brown Ale and Olde Ale will all be on tap and paired with cheese. Ken Erdogan from Brewery Ommegang will be at Shorty’s tonight, as will as at least six of his fantastic Ommegang brews. In the line up will be Abbey Ale, Hennpin, Witte, Rare Vos and a couple surprises. Come by for $10 flights (4-6oz glasses) of your favorite beers. 5:00PM-2:30AM @ Rust Belt Brewing Co. Kick off is at 5pm at the B&O Station 530 Mahoning Ave. Then, two 55 passenger luxury buses will arrive at 7pm to take you and around Downtown Youngstown in search of 6 mystery leprechauns who will be giving out gold coins (plastic coins provided by Amscan on New York) those who collect 5 coins will receive a free Downtown Dash 2010 St. Paddy’s t-shirt. NOTE: Registration begins at 5pm, the cost is $2 with a non perishable donation to Gleaners Food Bank of Youngstown and $5 with out donation. All proceeds will go to Gleaners Youngstown Food Bank. Featuring the Berkshire Brewing Company’s handcrafted ales. The evening starts at Berkshire Brewing Company at 6:00 with an hour tour of the brewery followed by a four course dinner at Chandler’s Restaurant. 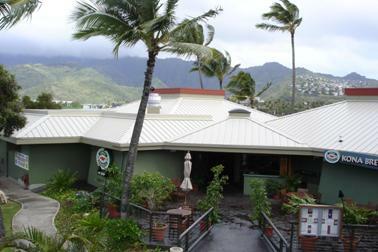 2:30PM-6:30PM @ Kona Brewing Co. Enjoy amazing beers and a stellar view at the 15th Annual Kona Brewer’s Festival. Headliners include, Jolly Pumpkin, Great Divide, Ballast Point Brewing Co., and so many more. From Oregon to Hawaii come celebrate craft brewing in the USA! 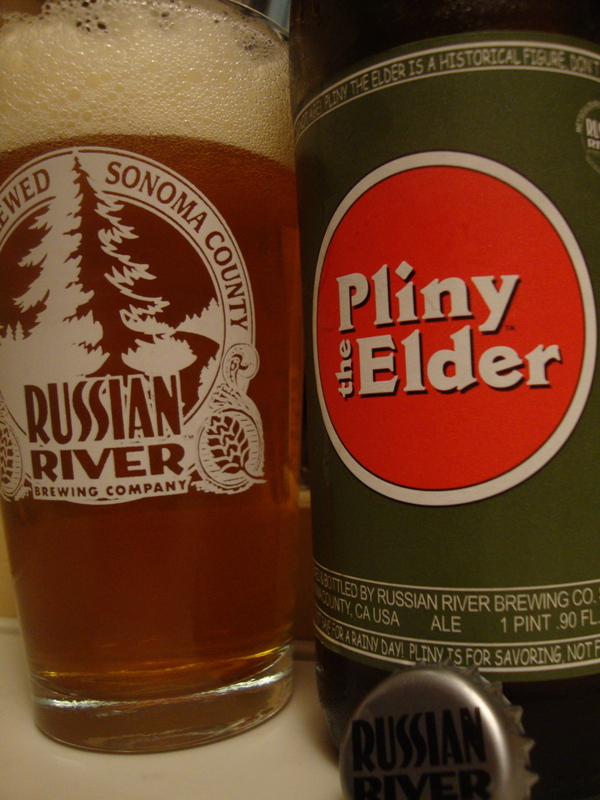 Russian River’s Pliny the Younger in the house! Supplication as well. Just a heads up, unless Seattle beer drinkers are particularly dedicated. PTY will be tapped within the hour. Get there early. This beer and food pairing with Glacier Brewing Co. is $50.00/person. To make reservations call (the area code in Ancorage, AK plus) 561-2337. Food items include: succulent prawns in a spring roll wrapper, crisped with herbs and spices. Served with Tabboulah salad blended with Red Hot Mama and chile infused olive oil; tender short ribs slow cooked with star anise, brushed with a Jim Bean/hoisin glaze- paired with IPAs, Red Hot Mama and more! Ballast Point Brewing Company–Firestone DBA (Double Barrel)- New Belgium Brewing Company-and a bunch of liquors for you non-beer drinkers. 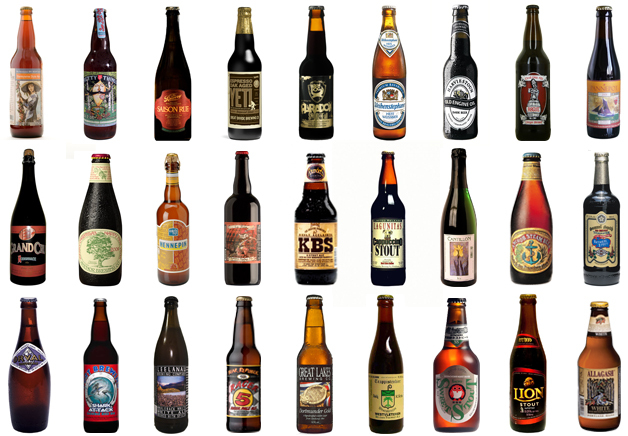 We wanted to mention this event, because this is a rare occurrence, a beer event in LA. So that is it- start priming your liver for St. Paddy’s Day, as we prime our livers for Belgium. We hope to report while abroad but will be subject to internet access, so no promises. There will be plenty of materials upon our return! But check back this week, as we are working hard to get as many posts up as possible. Thanks for the support and if you go to an event, see a sign for an event, know someone who was thinking about going to an event, let us know by leaving a comment or emailing us at beerblotter@gmail.com. Cheers! After a long day at the mountain, we are just going to jump right into it. Get a taste of New York tonight with a tasting of 8 beers from Hebrew/Coney Island Brewing Co. On tap tonight: Albino Pytho; Jewbelation; Coney Island Lager; Sword Swallower Lager; Human Blockhead; Lenny’s RIPA; Genesis and Massiah. Upstate New York is home to Brewery Ommegang. Tonight entails a three course meal paired with 9 different Ommegang beers such as Chocolate Indulgence, Beirre de Mars and Three Philosophers. There are menu items for both meat lovers and vegatarians. PTY, Russian River Brewing Co.’s triple IPA has made it up North to Seattle. We missed the keg at Collin’s Pub on Friday, but we are NOT missing out this time around. This keg is bound to be kicked in an hour, maybe even less, so get there early. Okay, so Michigan is a lot colder than New Orleans, but you can still partake in the Mardi Gras festivities. Beads, a faux parade and Abita beer for all! Ok seriously, like 30 – 40 different Cigar City beers on tap tonight. From Jai Alai IPA to Cubano Espresso Maduro. Come thirsty and fill up on Cigar City beers! A four course meal paired with Upright Brewing’s seasonal beers. This dinner is limited to 25 people at $40.00 per person. Call the restaurant for reservations at 503-802-5850. Beers to be had include: Gose (rare german wheat beer brewed tart with coriander and salt); Flora Rustica (old world saison brewed with yarrow and calendula flowers); Oyster Stout (stout brewed with oysters); Billy the Mountain (pinot barrel aged old ale). Billy the Mountain is especially unique. 5:00PM-7:00PM @ Pioneer Brewing Co.
Pioneer Brewing Co. has Cask Conditioned their Stout and added a handful of fresh Cascade Hops. This will be their first time with a Cask Condition brew. Chris Courtney, the assistant brewer will be in attendance to answer any questions you may have. Look for more Cask Conditioned beers in 2010 from Pioneer Brewing Co. Since 1/3 of Beer Blotter reigns from the great state of Ohio, we wanted to feature this event. 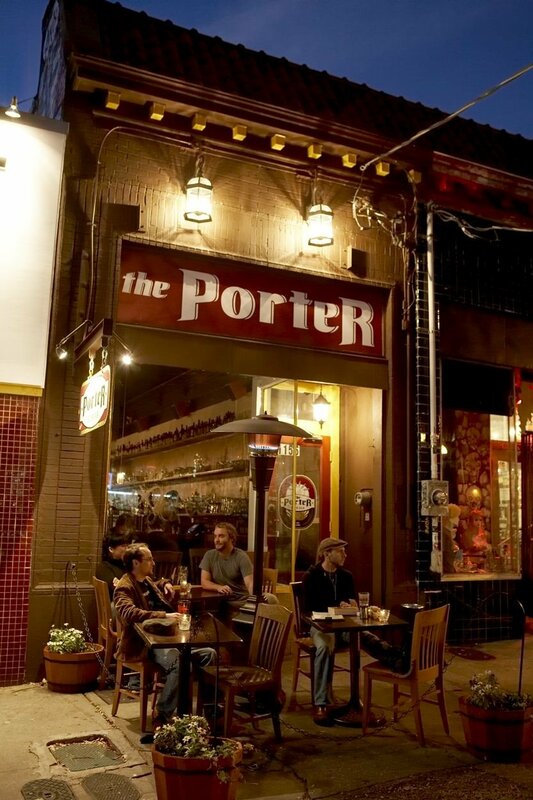 Stop by to sample around 20 different beers from the middle of the USA. The draft list isnt posted, but one can only hope breweries like Great Lakes, Founders and Three Floyds will be available for your enjoyment. 6:00PM- 10:00PM @ Great Divide Brewing Co.
$20 admission covers snacks and all the Great Divide beer you want, within reason of course. Hoss, Claymore, Colette Saison and Espresso Oak Aged Yeti will be released tonight. Good stuff! Go there. Sample 2007, 2008, and 2009 Bourbon County Stout with the folks from Goose Island Beer Co. Those that show up early enough will also have a chance to sample our very special treat, 2005 Bourbon County Stout. Limited amounts of each, so the beer is first come, first served. This beer ages very well, so it will be interesting to compare the taste through the years. Dogfish Head beers are available for sale as well as to taste—>6 -8 beers will be for samples! The following beers (only a few are named here) are available in bottles – Singles – 4pks – 6pks – 750’s: Chicory Stout; Midas Touch; Palo Santo Marron and Burton Baton. 8 IPA’s on tap, 2 firkins and select bottles will be featured all day starting at 11am. Heated outdoor seating will be available as well as entertainment, food pairings and door prizes. Breweries included will be Short’s Brewing Co., Bell’s, Founders, Avery, Victory, Stone Brewing Co., plus many more. Tis’ the season for Barleywines, so stop by the 6th Annual Barleywine Fest. A massive collection, draft list available upon arrival for those of you lucky enough to participate. Come meet Patrick La Rue from The Bruery and sample some of their amazing beers- Two Turtle Doves, Rugbrod and Mischief! As mentioned above, we are moving into the barleywine season, so keep an eye out for featured barleywines at your favorite beer bars! Beer Blotter is looking forward to the barleywine festival at Beveridge Place Pub beginning on the 26th with 24 Dedicated Barleywine Taps and 50 different barleywines rotating throughout the Fest! Attending an event, want to attend an event, want to want to attend an event? Leave a comment or email us at beerblotter@gmail.com. Cheers! After a trip from Seattle to Ohio and a 40 degree drop in temperature, we are warming up by the fire with some IPA’s brewed East of the Mississippi. Unavailable to us back West, we are taking our time with these brews and soaking it in! 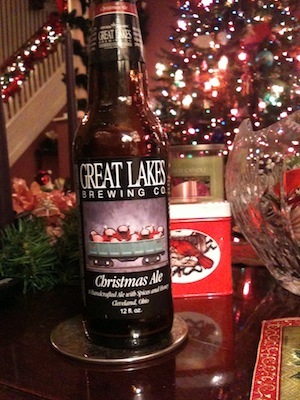 Great Lakes Commodore Perry IPA: Brewed in downtown Cleveland, OH, Great Lakes is a Beer Blotter favorite (Christmas Ale anyone??). This IPA has a kick to it. The hops are not overpowering, but are present in each sip. Goose Island IPA: Straight from Chicago, Illinois, this IPA is well balanced- not too bitter, not too hoppy, not too fruity, not too sweet….just right. Very drinkable with no one element overpowering the flavor. On the safe side, but you know what your getting with this one! 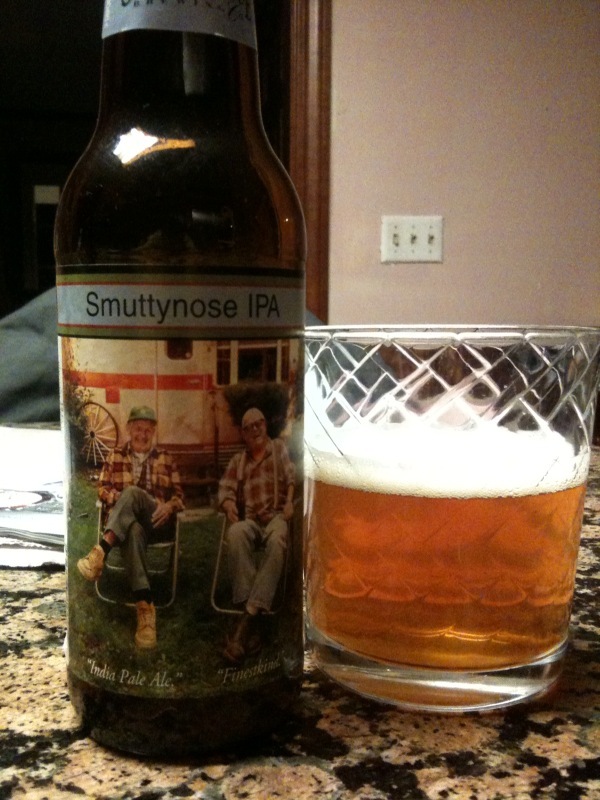 Smuttynose IPA:Mouth puckering bitterness with an intense hop flavor, no sweetness, zip zlich. Atwater Salvation IPA: Detroit Rock City can claim this IPA with pride. Although this brew does not get much love from ratebeer.com, we were pleasantly surprised. We drank Salvation immediately after the Smuttynose IPA and it was on the other side of the IPA spectrum with strong flavors that consisted of citrus fruits, like oranges and grapefruits. This floral, fruity, sweet IPA was a great end to the night. Off to Hoppin’ Frog Brewery today. More on B.O.R.I.S the Crusher Oatmeal Imperial Stout later. SO GOOD!